Public protections against false and misleading news coverage could be destroyed by the CRTC — paving the way for “Fox News North” to spread false information to the Canadian public that supports their political agenda. We have just two days to raise a national outcry and urge the CRTC to protect Canadian journalism! In 48 hours, public protections against false news coverage could be destroyed. The CRTC may pass a huge loophole to the “fair and balanced” rule that currently prevents media from outright lying to the public. 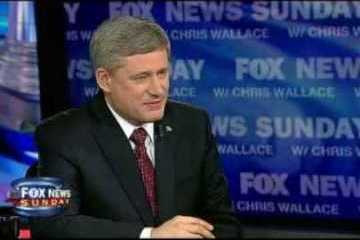 Canada’s broadcast journalism standards are an impediment to the new “Fox News North” (Sun TV) network being set up by Prime Minister Harper’s cronies, which promises to mimic Fox News — the poisonous US propaganda network. The CRTC rule change, which allows false news to be blasted across Canadian airwaves, comes just as SunTV is about to launch. The proposed changes to regulations protecting Canadian airwaves would require any complaint to include proof that the broadcaster knew that the news was false AND that the lies spread could endanger the lives, health or safety of the public — so a journalist could tell any lie they liked as long it didn’t kill or sicken anyone. Proponents within the CRTC are claiming that this change is in reaction to a Supreme Court decision, but that ruling was made fifteen years ago and has almost nothing to do with TV news standards. Television news is regulated by the CRTC precisely because news that spreads lies degrades public discourse and destroys the ability of Canadians to cast an informed vote. These kinds of lies may not directly threaten our lives or personal security, but they do threaten our country and our democracy. Just a few months ago, Canadians prevented government subsidies for “Fox News North” and helped expose the unethical conduct of its director Kory Teneycke, Prime Minister Harper’s former Communications Director. Now Harper’s cronies are back, and hacking at an essential pillar of our democracy, the standards that help prevent media from outright lying to the public. In the next two days we join a long tradition of Canadians who have built and sustained our democracy in the face of all kinds of threats. Let’s do that tradition proud.